International Tank Service is a leader in the design and construction of API 650 Field Erected Storage Tanks. 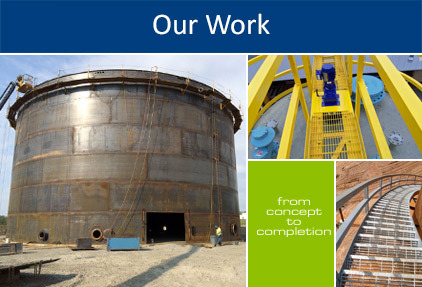 We have built storage tanks for many of US Fortune 100 companies. We are your storage tank solution to both new API 650 Storage Tanks and API 653 Storage Tank Repairs. International Tank Service has been in business designing, fabricating, building, and servicing API 650 Aboveground Storage Tanks Since 1977. Our services include new API 650 Aboveground Storage Tanks, API 653 Tank Repairs, API 653 Consulting, New Tank Bottoms, Cone Roofs, Floating Roofs, Shell Rings, and Ladders. 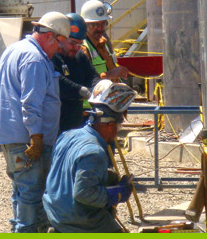 International Tank Service specializes in Tank Jacking and Foundations. We can even move your tank. Since 1977 International Tank Service has constructed over 500 Aboveground Tanks ranging in size from thirty thousand gallons to six million gallons.